ਫਾਜ਼ਿਲਕਾ - 152123 (Punjab) This blog belongs to online community of Fazilka town. A small Indian township near India - Pakistan border. People of Fazilka are very lively, adorable, cohesive by nature and lovable "एक शहर हमारे सपनो का , एक शहर हमारे अपनो का"
FATEHGARH SAHIB: On Monday the Fatehgarh sahib district also joined the list of "eco rickshaw cab" districts of Punjab by handing over 50 eco cabs to poor rickshaw pullers of city here during a function organized by administration. The State Bank of Patiala (SBOP) has financed the all eco cabs under its DRI scheme and has spent total Rs 5 lakhs to purchase these new eco friendly rickshaws for city residents. The SBOP has spent Rs 10,000 on the purchase of each eco cab and has fixed 36 monthly installments of Rs 300 per month for all richshaw pullers to recover its loans given to each purchaser of eco cab. To increase the income of eco cabs pullers, the administration has decided to motivate locals to give advertisements on these cabs so that owners of these cabs could earn more money to repay their debt, they have taken from SBOP bank. "These eco cabs have first aid kits and FM radios. We hope these would attract maximum number of locals and motivate other rickshaw pullers also to opt for these environment friendly cabs." Said Fatehgarh Sahib Deputy Commissioner Yashvir Mahajan. The commissioner said after eco cabs they have plans to launch environment friendly Rehris for vendors also for all district. About the success of DRI scheme, the commissioner said SBOP bank authorities are offering every possible help and the locals should take benefit of this scheme. Before Fatehgarh Sahib, the Patiala, Fazilka, Moga and some other districts have also launched eco cabs with the help of DRI scheme of SBOP and in almost all cities the eco cabs are attracting more locals then other rickshaws. MOGA: In Moga, a rickshaw is now just a call away. Moga district administration on Sunday launched the eco-rickshaw cab facility in the city. Five rickshaw cabs were given to poor beneficiaries for plying on congested city roads. Starting in Fazilka three years back, `eco cabs` is the name given to traditional Indian rickshaw operations that are organized into a network that customers can directly call up. Fazilka, a border town in Ferozepur district with a population of less than one lakh, is the first city in the world to have a dial-a-rickshaw facility. Moga DC V N Zade said all the beneficiaries were provided these cabs at a nominal interest rate of 4% by Punjab and Sind Bank. Every bank in Moga district has been asked to finance at least five eco-cab rickshaws. Abhinav Trikha, ADC Moga, said, "The beneficiary has to simply give a request to the district development agency and it would be forwarded to the district lead bank." Some beneficiaries covered under the scheme said earlier, they had to pay Rs 20 per day as rent to ply the rickshaw on a routine basis, but now, they had to pay only Rs 200 per month as loan instalment. "Eco cabs are a low-cost solution to one of the key transport dilemmas in any urban area," said Navdeep Asija, an IIT graduate who belongs to Fazilka and is a leading force behind introduction of eco cabs in this border town. The eco cabs scheme allows people to call up rickshaw drivers to direct them as to where they are needed. The concept has been promoted as `dial-a-rickshaw`. With an order of Punjab & Haryana High Court, the concept which originated in Fazilka three years ago was fully adopted by both Punjab and Haryana governments. कहीं खंडहर न बन जाए संस्कृत कालेज! Malwa Diary :: Sanskrit college out of sync in cyber age? The existence of the only Sanskrit college, established about eight decades back, of district Ferozepur is at stake as merely 18 students are left in the college. The college has a history of imparting education to hundreds of students in Sanskrit every year. However, since other professionally remunerative subjects have become more popular, the number of students has been decreasing gradually. The college is being run by the Shri Sanatan Dharma Samiti, Fazilka. The successive governments did not care to preserve the precious ancient Sanskrit heritage which was being kept alive by the Sanatan Dharma Sanskrit College of Fazilka. Sanskrit subjects of Prayag-1, Prayag-2 and Shastri part I, II and final are being taught by only two teachers engaged by the management. Sanskrit is an elective subject and the the government too does not seem to be keen to promote it. Now, only those students are eager to take admission in the college who want to pursue their career as religious preachers in armed or para-military forces. Another section of students include those who want to follow the profession of astrology. The Sanatam Dharma Samiti (Fazilka) has been able to preserve one of the oldest institution of the town. No fee is charged from the students. They are provided with free lodging and boarding facilities. Even the teachers have been offering free services under the able guidance of octogenarian Sanskrit scholar and eminent teacher Pt. Sadhu Ram Shastri for the last about half a century. The Periwal family, noted philanthropists of the town, established a trust to run the college. The members of the family residing in distant areas of the country contribute benevolently. The philanthropists of the town also provide necessary financial help to the managing committee, says Sushil Periwal, president of the Samiti. He added that they would run the college and promote Sanskrit education despite all odds. Perhaps the only bureaucrat, who was a recipient of the prestigious civilian awards of the country, Padam Shri and Padam Bhushan, the legendary nonagenarian of Fazilka, Kunwar Surinder Singh Bedi (96), passed away in Mohali on Thursday night. For his contribution during the 1965 and 1971 Indo-Pak wars as the District Magistrate and Commissioner of Jullundhur Division, Bedi was honoured with the highest civilian awards of the country. Born in the Montgomery in the famous Bedi family of undivided Punjab, and the son of Baba Hardit Singh Bedi and grandson of Sir Baba Khem Singh Sahib Bedi, he migrated to Fazilka after the partition along with his three elder brothers. "Surinder Singh Bedi was in the 15th generation of the direct lineage of Baba Shri Guru Nanak Dev Ji," claimed nephew Mohinderjit Singh Bunty Bedi of Fazilka. The highlight of the career of this IAS officer was his considerable contribution, planning and liaisoning skills with Army officers during the two Indo-Pak wars as the District Magistrate of Amritsar and Commissioner, Jullundhur division. He was honoured with Padma Shri in 1965 and Padma Bhushan in 1971. An alumnus of Chiefs College and Government College Lahore, he was awarded the most sought Rivaz medal as the best all-round student at Chiefs College in 1936. He not only excelled in academics but in sports as well. He developed his natural sporting ability particularly in the shooting arena and won the national Trap Shooting Championship in 1951-52. His love for sport took him into sports administration where he served as the President of the Punjab CricketAssociation and continued as a life member of the PCA. In the literary field, he loved Urdu poetry. His favourite of course was the poetry composed by his elder brother, renowned international Urdu poet Kunwar Mohinder Singh Bedi 'Sehar'. Graduate Welfare Association, Fazilka, (GWAF) has provided five lightweight Ecocab modern rickshaws to five rickshaw pullers of the town in a function organised at the local Sanjay Gandhi Memorial Park here yesterday. In an attempt to revive the declining number of rickshaws in the city, the administration has given newly designed Eco-cabs on loan to 20 rickshaw pullers today. A target of 1000 is to be achieved in 2 months. The original intiative of this project was taken by Fazilka based NGO 'Graduates Welfare Association of Fazilka' (GWAF) and in Ludhiana this design has been made by Safari bikes. Jarnail Singh, one of the rickshaw pullers said, "This rickshaw is 75 kg only as opposed to the 95kg of old model rickshaw. But it cannot carry more luggage. Still it seems to be more attractive. Lets hope for more clients." There are only 35,000 rickshaws in the city today as opposed to 50,000 two years ago. The reasons for the decline are heavy traffic on roads and other means of transport. KS Grewal, lead bank manager Punjab and Sind Bank(PSB) said, "We are giving a loan at 4% flat rate with identification proof and also proof of registration number in MC records. Earlier they were not being given this facility. The rickshaw is priced at Rs 9300 which is Rs 1500 costlier than the old model, but the manufacturers claim that has many facilities as well. We are giving them awareness to follow shorter routes to earn more money rather than going on busy roads where rickshaw pulling is difficult. Their numbers are reducing due to no safe place for rickshaw pullers on choked roads." So they have been advised to make their presence in the congested areas of the city." The bank has also asked the MC to advertise on one portion of rickshaw through the advertising contractors and that money should be kept as a deposit for bank. Grewal said, "In case the rickshaw pullers fail to return loans, that money will act as a security for us." Tilak Raj and Mukesh Kumar from District Industries Department were also seen motivating the rickshaw pullers to buy the new model. The rickshaws also have place for keeping a radio where FM stations can be played and it can be a good entertainment for the client. It can thus be named as 'radio rickshaw', said Sham Lal one of the rickshaw pullers. Meanwhile GWAF has also proposed to make attractive shelters at the designated MC rickshaw stands and even proposed for tea and water for the pullers. But they have asked the MC authorities to free the stands from encroachments. 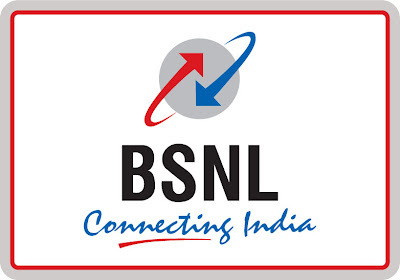 Bharat Sanchar Nigam Ltd. (BSNL) has decided to provide free pre-paid mobile connections to the rickshaw pullers (Ecocab owners) in Fazilka to provide rickshaw facility to the residents of this border town on call. These rickshaw pullers would be able to talk to each other on these mobile numbers free of cost. 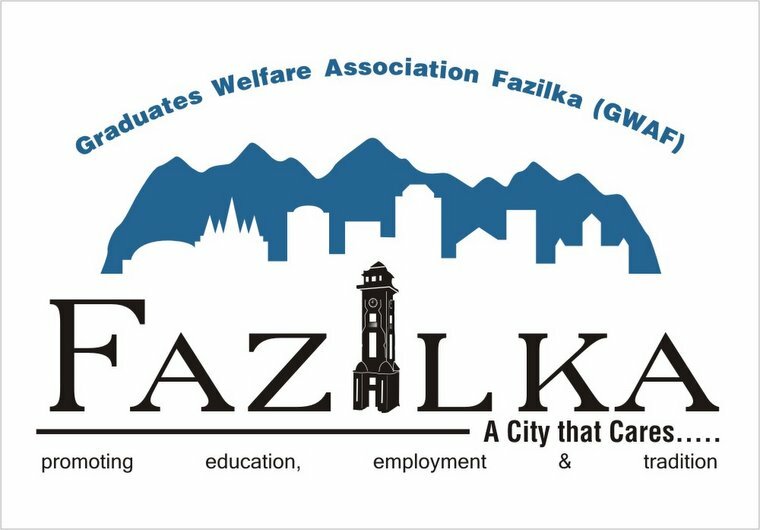 Nine hundred mobile connections would be provided here under the Close User Group (CUG) plan soon.On the initiative of the Graduate Welfare Association (GWAF), Fazilka, the first of its kind dial-a-rickshaw service finally got its telecom partner. An official communication in this regard was received by the GWAF office-bearers on Friday. Under the scheme, for the first time in the country, any telecom operator has extended the "Close User Group" (CUG) plans on pre-paid mobile connections. Under the plan, a free SIM with lifetime validity will be provided to the Ecocab operators. In Fazilka, zone-wise all eco-cab operators have been registered and given three digit registration numbers by the GWAF. Another significant aspect of the plan is that each ecocab operator shall have the last three digit of their mobile number same as their ecocab registration numbers. Notably, BSNL has waived the Rs 60 per month rent charges on CUG also along with providing them free SIM. "It took one year to pursue with the telecom partner the concept with such elaborate but simple benefit to Ecocab operators and this is a surprising gift to the Ecocab operators on the occasion of the third ecocab anniversary, which shall be observed on June 20 in Fazilka," said Navdeep Asija, Secretary GWAF. The organized structure of the ecocabs via mobile numbers would also help get the facility of Ecocab Dial - a rickshaw through a self-regulated mode, in a better way. "We faced many problems with private telecom operators during the three years of our operations at Fazilka, unwanted tariff, caller tunes and other facility under which they used to deduct money from poor ecocab operator's account. With the association with BSNL, our Ecocab operators will be able to get free extended benefit, like free calling within CUG and lifetime validity without paying anything," said Dr Bhupinder Singh, patron, GWAF. "BSNL is happy to extend such plan to Ecocab operators and to associate with such unique and environment-friendly concept and we look forward to extending it to the other cities of Punjab as well," said Mr Sandeep Diwan, General Manager (Enterprise Business), Punjab Circle, BSNL. The scheme is expected to benefit over three lakh families of rickshaw pullers. While Haryana and the Chandigarh Administration are still taking baby steps where the eco-cab project is concerned, Punjab is going strong. At Fazilka, Amritsar and Patiala, the lightweight, eco-friendly rickshaws are gaining in popularity, with Ludhiana and Sangrur all set to join the bandwagon. Taking suo moto cognizance of a report on eco-cabs published in The Indian Express, The Punjab and Haryana High Court had directed Haryana, Punjab and Chandigarh to introduce these light-weight rickshaws in their respective areas. These rickshaws are called eco-cabs because they do not use any wood, and are made of hollow steel pipes. Since they weigh only 65-70 kg, it is much easier for the rickshaw puller to pull them. The traditional model weighs 90-95 kg. In Haryana, only the Panchkula Municipal Corporation has made some headway by setting up a committee to study the eco-cabs and submit its report. Chandigarh has begin initial work on the project too, but Punjab has taken a clear lead in the region. Deputy Commissioner (DC) Ludhiana Rahul Tiwari and DC Sangrur Kumar Rahul say the eco-cabs will be launched in their respective areas by the end of this month. To ensure that rickshaw-pullers they are comfortable with the new model, the DCs in both these cities have actively involved the local rickshaw associations, and ensured 'test rides' to get their feedback. Tie-ups have been made with banks to finance these rickshaws at only four per cent rate of interest. Talking to The Indian Express, Tiwari said that 15 eco-cabs will be launched in the second half of June. "Rickshaw pullers pay a daily rent of Rs 20 to the owner for pulling the rickshaw. With the bank finance, the daily cost will come down to Rs 6, and within four years, they will also own the rickshaw," he said. "Later, we will try to get advertisements for the side panels of these eco-cabs, which will enable the rickshaw puller to pay back his loan faster," he said. Amritsar has about 80 eco-cabs on the roads, and Deputy Commissioner KS Pannu said the rickshaw pullers also earn from advertisements on the side panels. Sangrur is also ready to launch 20 eco-cabs within this month. "The rickshaw association was happy to learn about the bank finance, and how it will bring down their costs," said DC Kumar Rahul. At both Ludhiana and Sangrur, members of the rickshaw association were shown three-four models of eco-cabs. The changes suggested by them will be communicated to the manufacturer. Modern rickshaws, popularly known as eco-cabs, may soon be plying on Chandigarh roads. The spacious rickshaws are 25 per cent lighter than the existing models. As a traffic-regulation case came up for hearing before the Punjab and Haryana High Court Division Bench of Justice Surya Kant and Justice Ajay Tewari, senior standing counsel for Chandigarh Administration Sanjay Kaushal said they had approached the manufacturer of the eco-cabs. The Chandigarh Municipal Corporation too had written to the UT department of science and technology for 10 eco-cabs as a part of a pilot project, he added. Taking up the matter, the Bench also fixed July 15 as the deadline for the states of Punjab and Haryana to take a decision on installing speed governors on transport vehicles. The Bench also made it clear that in case of failure to take a clear cut decision in the matter, the principal secretary or the transport commissioner would remain present in the court on the next date. The issue of installing speed governors on private vehicles is also expected to come up for discussion at a later date. The Bench is currently hearing a petition filed by an NGO, Suraksha Foundation. It is seeking directions to the states of Punjab, Haryana and Chandigarh, to prepare an implementation plan for installation of electronic speed governors within a specific timeframe for reducing the road accidents. In the petition, the foundation had earlier sought directions to the state of Punjab and another respondent to "follow the provisions of Rule 118 of the Central Motor Vehicle Rules and to direct the state to prepare an implementation plan for the installation of electronic speed limiters within a specific time frame." Ropar will start the eco-cab service on the lines of existing ones in Fazilka, Amritsar and Patiala. The Punjab Tourism Development Board will launch the eco-cabs at Ropar in collaboration with the Rotary Club, Ropar. Under this collaboration, the club will identify beneficiaries and will provide a sponsorship of Rs 500 needed for seeking loan from the government. Basic aim behind the launch of the eco-cabs is to provide employment opportunities to the poor, which are better and safer than the usual rickshaws. An eco-cab is an improvised version of rickshaw with low floor, lightweight, maintenance free, FM Radio, water bottle, magazine holder, more space to store luggage, improved road safety features and dial a rickshaw facility in big cities. Cost of an eco-cab is Rs 11, 257 and beneficiary will contribute only Rs 500, while rest will be given as loan. "We will identify the prospective beneficiaries by next week," said club president Dr RS Parmar. Aspirants would be provided loan, which can be repaid in easy monthly instalments. The rickshaw owners can also get benefit from exhibiting advertisements. However, some of the people have been apprehensive about the success of the eco-cabs in the town. "The Patiala city has got lukewarm response, but we hope its better in Ropar," added the officials. 160 year old historical town Fazilka of District Ferozepur, also known as Bangla, is located in southwestern Punjab (INDIA), about 325 kms west of Punjab State Capital Chandigarh, 85 km south-west of the district headquarters, Ferozepur and 200 km south of Amritsar. Fazilka is on India -Pakistan border and is 11 km off the international border with Pakistan. It is situated on the rice growing and cotton rich belt of the state and is one of the major rice exporting centers in India. Before partition, the town was the biggest wool market in undivided Punjab. Fazilka’s origin dates back to AD 1844. It was established by Mr. Oliver and was christened after the original owner of the land, Mian Fazil Watoo. The first railway line through the town was setup in AD 1898 on the occasion of the Diamond Jubilee celebration of the accession of Queen Victoria. Being at the border, Fazilka also had to bear the brunt of the two Indo-Pak wars of 1965 and 1971. The famous ‘Tosha’ sweets have its origin in Fazilka. The first single cylinder steam ship in the world, Fazilka, was named after this town. Fazilka is also home to the second biggest TV tower in Asia, which stands at 305 m above the ground. Amritsar International Airport and Ludhiana Domestic Airport serves Fazilka. Fazilka Railway Station is located on Abhor- Ferozepur Region of Northern Railways. National Highway 10 passes through Fazilka.